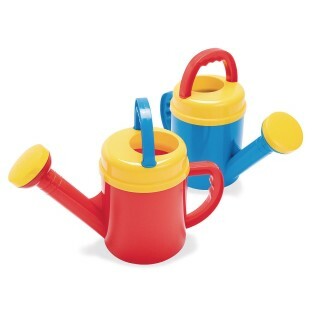 Whether watering flowers or creating a rainstorm this watering can will surely get the job done. Measures 8” and features two handles with finger grips. The two handles make it easier to carry and pour from. Sold individually. Colors vary.